One of the things I’ve always been quite pernickety about is my sleep. I can’t help it. It’s just so important to me and it’s something I have always really valued. My sleep habits have changed quite a bit from the time when I was single to now that I am hitched. 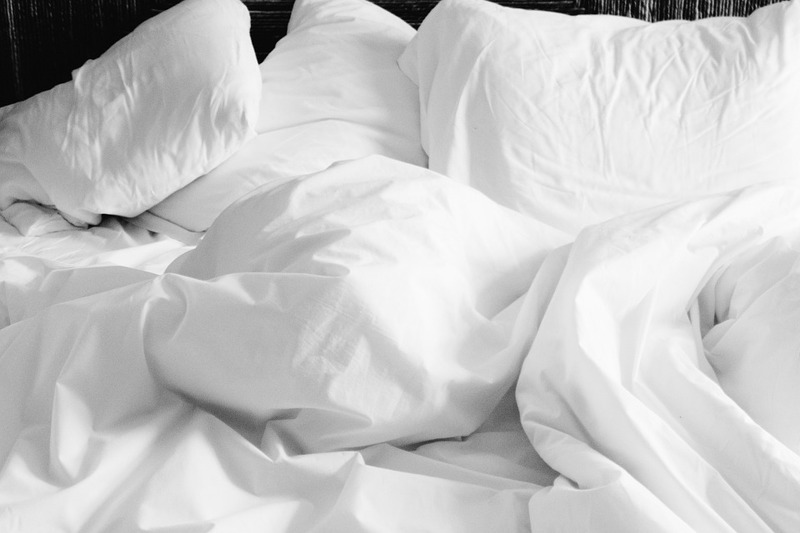 Sleeping with someone whose sleep habits are the polar opposite from you can be quite a challenge, but for the sake of a happy marriage, one has to make some compromises – that someone has been me. There are many factors that contribute to a good night sleep. One of the most important is, of course, your bed. I am working on overhauling our bedroom and one of the first things that need replacing is our wonky mattress. It’s so difficult to find the exact mattress for the needs of two people and one that is in a realistic price range. I firmly believe that you should pay as much as you can afford to on a good quality mattress. If you’ve no clue where to start websites like MattressNextDay make it easy for you to do your research by giving you size, material, different price ranges and an array of other options. Aside from hogging the duvet, and, well, hogging the bed, the main issue I experience with my other half is all related to sound. He likes it to be dead quiet and I can’t sleep if there is no noise. Something about the lack of sound disturbs and perturbs me like no other. Leading to anxiety which then dominoes into a night where sleep eludes me. For as long as I can remember I have needed noise to fall asleep. I went through my tween and teen years with a Walkman and Discman as my everyday bedtime companions. From listening to talk radio (yes, I was an odd kid) to go to sleep listening to a cassette tape and letting the “pop” that indicated the tape was finished be my makeshift sleep button. I sometimes long for those days where I could get to sleep my way and wish I could have at least one night where I could turn my stereo on max volume and have the thumping bass of house and trance music lull me to sleep. Looking back I can’t believe how I managed to use that method to put me to sleep only a decade ago. Not sure if it would work for me now, but it would definitely not work for him. As I reached my mid 20’s it all went from the loud banging bass to the peace of white noise. You know those noise machines that are meant to carry you away to a waterfall somewhere exotic? Yeah, you know the type. I had an alarm clock with an array of those sounds – chirping bird, thunderstorm, sea waves, etc. It worked only temporarily as my brain quickly outgrew it and longed for the days when there was something deafening shutting out the thoughts in my head. As I headed into my late 20’s and before cohabiting I found that any sound would do. I now use apps with some amazing sleep audios that help me relax and unwind. Look out for that post soon! What are your current sound sleep habits?